Feel more confident about your appearance with a new smile that is as beautiful as it is healthy. You no longer have to suffer from missing, chipped, discolored, or crooked teeth. Contact our practice today and schedule your appointment! Feel more confident about your appearance with a new smile that is as beautiful as it is healthy. You no longer have to suffer from missing, chipped, discolored, or crooked teeth. 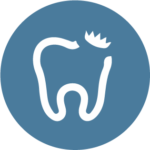 Contact our practice today and schedule and appointment for your smile makeover! Thank you for your interest in a lifelong beautiful smile! We’ll be in touch soon.